If you love Vauxhall cars then you might be interested in the firm’s announcement of unlimited specs appeal for several of their cars. 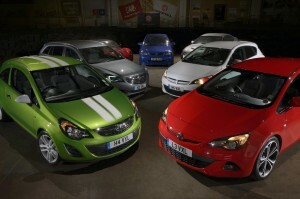 That’s because the firm has lavished extra equipment onto a range of limited edition Vauxhalls which include the Astra GTC, Astra Hatch, Insignia and Corsa. The new special edition Vauxhalls will undoubtedly prove to be popular with customers, especially since some of them have an impressive list of additions. For instance, the sleek Vauxhall Astra GTC Limited Edition, already one of the better coupes on the market, has more than £2,000 worth of extra kit on board. The GTC is fun to drive and now has 20-inch bi-colour alloy wheels, front fog lights, a VXR styling kit and dark tinted rear glass. Motorists who like the stylish Vauxhall Astra five door hatchback Limited Edition will find that their extra kit includes leather trim and heated sports front seats and the latest tech connectivity so smart phones, tablets and MP3 players can be connected and used inside the car. Not to be outdone, the Vauxhall Insignia Special Edition, with the impressive new car only being launched this year, will also be fitted with 18-inch bi-colour alloy wheels, a VXR styling pack as well as electrically-heated sports front seats and front and rear parking sensors. There’s also the Vauxhall Corsa Sting Special Edition which doesn’t have quite an impressive list of extra kit but does include 16- or 17-inch alloy wheels, twin sports stripes and matching exterior mirrors. Prices for the limited edition Vauxhall’s start from just £8,995 for the fashionable Vauxhall Corsa Sting (always a brave name for a car!) and they all come with the firm’s useful Lifetime Warranty, which means that the first owner of the car has a warranty valid while they own it or up to a maximum of 100,000 miles. All of the Vauxhall special editions are available to order now. This entry was posted in Car Leasing, Cars, Family Car, Popular Cars, Small Car and tagged Astra, lease a Vauxhall Astra, vauxhall, vauxhall astra, Vauxhall Astra GTC, Vauxhall Astra Hatch, Vauxhall Corsa, Vauxhall insignia by Steve Lumley. Bookmark the permalink.